Hey, this is Zoe Brooks (aka Baby Storrs and The Bully) and this is my final Gthing diary entry. I would like to thank Gthing for the opportunity, and I hope you enjoyed taking a small peak into what I do on and off the court. This week I had my finals in math and science. After school, we drove from Plainfield to Maplewood to pick up one of my friends Ciera and give her a ride to St. John Vianney Camp. There was a lot of traffic so we were late. My Sparks teammates Mikaela and Gabby met us there and the four of us had a really good time. Today I had my social studies and language arts finals. St. John Vianney is one of the top high schools that I’m thinking about going to in ninth grade. The best part of this camp is seeing all of the championship banners hanging up in the gym. Also, I got a chance to hang out with Coach Dawn Karpell and I like her a lot. Happy Birthday Dad. Today is my dad’s birthday. We made my dad cupcakes and gave him cards and gifts. Madison St. Rose, who also plays for the Sparks and is going to go to St. John Vianney next year, is also at the SJV camp. The camp is competitive and I think it’s cool that there are so many Sparks there. We learned a lot and had fun. My mom got me a new dress and shoes to wear to my cousin Tasha’s wedding. She had a beautiful wedding and it was nice to see my family including my grandparents and my other cousins. Afterwards, we went to the reception at Galloping Hills Inn and we had a good time eating and dancing. Congratulations Tasha. SJV camp is over so I finally got to go put in some work with the best trainer in the state Eric Myrick. I’ve been working with him for four years and he has helped me become a much better basketball player. My Sparks team played up a grade at the Shoreshots Tournament. We played the Shoreshots in the first game and although it was a tough game, we came out on top. We didn’t play our best game but we got it done. We don’t play in New Jersey too often so it was kind of cool to see so many local high school coaches and players that we knew in the gym. In the second game we played a team called the Aces and I had a quick 18 points before sitting out the last 10 minutes of the game because we were winning by so much. After the game me and my parents went to Benihana’s to grab something to eat. Today is Father’s Day so me and my mom took my dad shopping at Menlo Park mall. We got him some Jordans and clothes and then my mom made him his favorite dinner which is steak. Upper Marlboro, Maryland - Team Takeover put on a well establish event for the Cinco De Mayo Invitational which was held in various locations throughtout the Maryland and Washington, DC area. This years event was a all girls tournament, which last year it was a combination of both girls and boys. So this year it gave me a chance to focus on just the girls only which turn out to be great for me and other evaluators and media people. Tai Johnson - 2019 - 5'8 - Point Guard - Western PA Bruins 17U - Johnson's ball movement caught are attention first then we notice a verity of things. Tai is a exceptional ball handler who knows were to place the ball on the court. controls the pace; scores of the dribble, handle, consistent jump shot, very active. Diamond Johnson - 2020 - 5'7 - Combo Guard - Boo Williams 17U - Johnson is a consistent three point threat, not that fast but knows how to get open for the quick shot. long range gamer, quick release on shot, very mature, enough ball handling ability to get good looks. 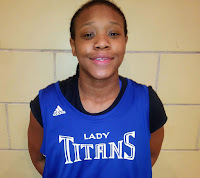 Breyanna Frazier - 2019 - 5'9 - Point Guard - Books & Basketball 17U - Frazier is a athletic guard with tremendous jumping ability, she creates and breaks her defender down at the point of attack. penetrate and dishes, cuts the seams when going to basket, athletic, lead guard. Jenna Clark - 2019 - 5'8 - Point Guard - Western PA Bruins - Clark is a very skilled point with lots of shake and bake, Jenna knows how to create and change pace while in transition; court vision, flare in her game, passes well, creates. 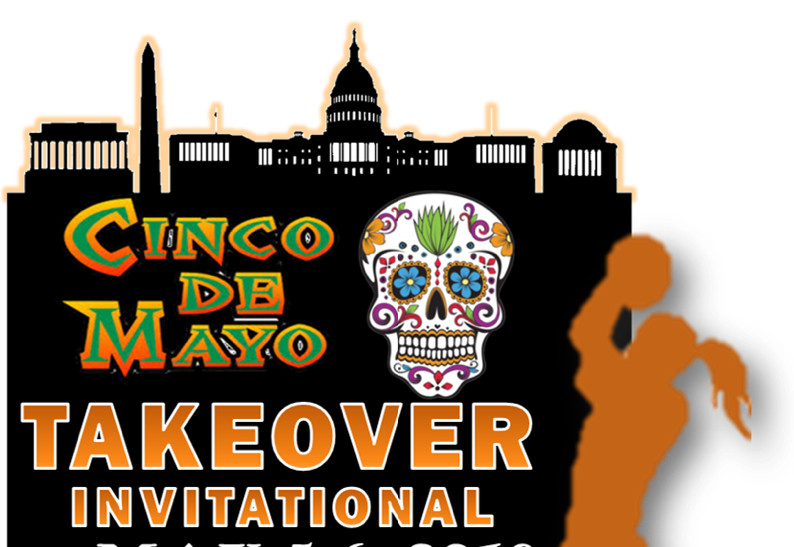 Lauren Park - Lane - 2019 - 5'5 - Guard - Team Takeover 17U - Lane is crafty point who has finally come out of her shell now playing for Takeover, ability to create and run a well balance offence has seem to be working for Park-Lane. ball creator, shifty, consistent, floor general, mid-range gamer. 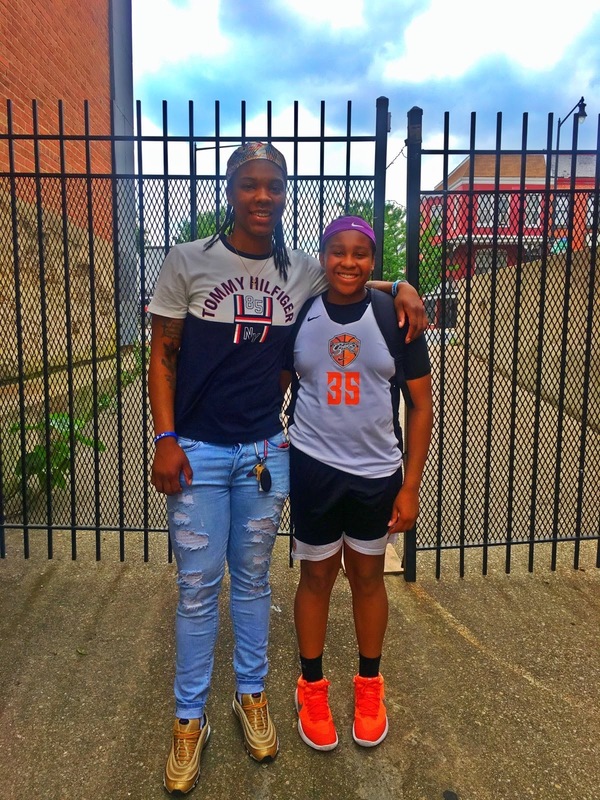 Jayla James - 2019 - 6'1 - Forward - Team Takeover 17U - Athletic small forward who has size and ability to play multiple positions; finishes plays in traffic, exploits mismatches, perimeter prospect, versatile, rebounds, delivers around painted area, creates versus contact, Signed to Penn St.
Jada Patrick - 2019 - 6'1 - Wing - New Jersey Sparks 17U - Duke signee Patrick is a versatile wing who rebounds well, dribbles and drive, finishes at the rim, great athlete, high motor, does all the small things, good leaper, agile and physical. Maria Cerro - 2019 - 5'7 - Point Guard - Western PA Bruins 17U - Strong combo guard with a scorers mentality, controls the pace of game, mid-range gamer, physical off the dribble, stays in attack mode. Adriana Shipp - 2019 - 5'7 - Point Guard - Bswl - Stith - Strong, Physical combo-guard who handles well in pressure situations. Physical off dribble, upper body strength, half-court game, big guard game. Azaina Baines - 2019 - 5'11 - Guard - Books & Basketball - Athletic lefty lead guard who brings emerging offence to the back-court, with the ability to create off the dribble. effective in half-court game, attacks off dribble, penetrate and dishes, mid-range gamer, big guard. Mariah Perez - 2019 - 6'3 - Post - New Jersey Sparks EYBL 17U - Power post who delivers a strong inside presences, consistent interior game, slick foot work, back to basket game. Angel Reese - 2020 - 6'3 - Wing - Team Takeover EYBL 17U - Athletic wing with enormous length, versatile perimeter threat, penetrates at the point of attack, defends, high motor on glass, rebounds, handle, elite prospect in 2020 class. Kaelynn Satterfield - 2019 - 6'0 - Guard - New Jersey Sparks EYBL 17U - Versatile perimeter guard who brings size to the backcourt, plays with in herself, court awareness, smooth, creator, handle, crafty, plays under control. Gabby Zapata - Smalls - 2019 - 6'2 - Forward - Books & Basketball 17U - Strong, interior prospect with rising offensive game, cleans glass, draws contact, lots of put backs, finishes around rim, active on both sides of the ball. Aliyah Matharu - 2019 - 5'8 - Point Guard - New World - Athletic combo-guard who delivers, delivers off the dribble, creative floor game, savvy, transition game, displays floater in the lane, handle. Madison Scott - 2020 - 6'2 - Forward - Team Takeover EYBL 17U - Versatile, agile forward who competes on both ends, shot blocker with great length, good leaper, versatile defender, active in transition. Michelle Sidor - 2019 - 5'7 - Combo-Guard - New Jersey Sparks EYBL17U - Electrifying combo-guard who delivers in the mid-range game, spreads the floor, consistent, high percentages of shots, great shot selection, creates of bounce, tons of offensive arsenal, handle, Signed to Michigan. Tink Davis - 2020 - 5'6 - Point Guard - New Jersey Sparks EYBL 16U - Lead combo-guard with a scorers mentality, physical off the dribble, explosives off the dribble, court creator. 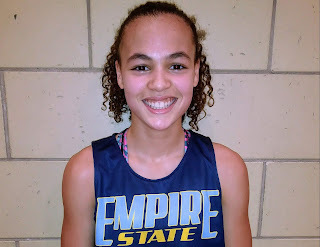 Mossi Staples - 2019 - 5'6 - Guard - New World - Crafty playmaker who thrives in transition, first step is quick, distributes and dishes in transition, high motor, breaks defenders down. mid-range is definitely there. What’s up basketball world? This is Zoe Brooks. I’m a 5-foot-7 guard for the 2023 New Jersey Sparks and here is what I’ve been up to. I went with my dad and brother to JP Stevens High School so we could do sprints on the turf football field. When we got done there we went to Lifetime so I could shoot around. My dad and brother were begging me to play against this 15 year old boy that was there so I did. After I won we went home so I could watch Super Girl. Right after school I went to Hoop Heaven and worked out with a varsity high school coach and a college sophomore. One of the main reasons I like these workouts is because everything is a competition. After an hour and a half I went to my trainer Eric and did another workout. My legs were done afterwards. I had a session with my math tutor after school to help get me ready for my final. I took a quick nap and then went to my trainer Eric. After training I went home called my friends, ate dinner and then went to sleep. One of my best friends Ciera went to Eric today so that made training a lot more fun. We goofed around after training for a little bit, but it was cut short because she stayed for a second class. For the first time all week I had a day where I didn’t touch a basketball. After school, I went for a long walk around the neighborhood and then I got packed for our trip to Washington DC for the Rising Star Challenge. Early in the morning the head coach for the Howard University basketball team spoke to us. Then two assistant coaches took our Sparks team on a tour of Howard. It’s a very nice campus. We took a lot of pictures and learned a lot about the school. Later we blew out NOVA and Lady Prime and our entire team did really well. Myisha Hines Allen, who used to play AAU for the Sparks and is now on the Mystics in the WNBA, sat on our bench and took pictures with us after the NOVA game. After our wins, I went to Virginia with Gabby to visit her grandparents. Me and my family got dressed and went downtown in DC to get something to eat and do some quick shopping before my championship game. We played Team Takeover in the chip and they always give us a hard game. We only had seven players and the gym was hot but we were able to come back in the second half and win the game by four points. My jumper was off but I was able to get to the cup and I scored 26 points. After the game we took pictures with the championship tee shirts and then we all got on the road and headed back to New Jersey..
What’s up? This is Zoe Brooks aka Baby Storrs. 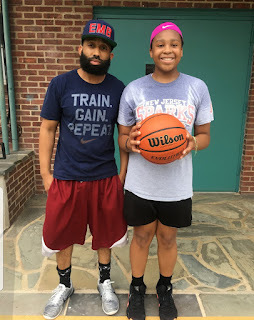 I’m a 5-foot-7 combo guard for the New Jersey Sparks (Class of 2023) and here are some of the things I do on and off the court on a daily basis. I had a lazy Memorial Day. I sat around watching TV, playing video games and talking on the phone. I did get a little bit of exercise in when me and my parents went for a mile walk in the park. After that, we ate dinner and I watched my favorite basketball player in the world Kevin Durant help the Warriors beat the Rockets in the playoffs. After three days off, I had to go back to school. The fourth marking period is coming to a close so I’m really on my grind to make sure my grades are where they need to be. After school I went to Lifetime with my dad. My friend Ciera was there so I shot around with her for a while before doing some cardio, crunches, pullups and core exercises. Today was tough. I did an hour workout with my trainer Eric and then had Sparks practice. The head coaches had a meeting so one of the assistant coaches Kanisha ran practice. We did way more pushups and running than normal. Although I was tired, it was a good practice. One of my friends Jessica who left our team a few months ago was at practice. She’s playing with us again. I had a great workout with Eric after school. Although I don’t always feel like training, once I get to EMB I enjoy it because I know he is helping me get better and we have some fun. When I got home, me and my mom worked out with the resistance bands and medicine ball. I got some good news. I received an invitation to the Rites of Passage which my dad tells me is a big showcase in Maryland. According to him I didn’t get invited last year. I don’t pay attention to all that stuff but it is cool to be invited. We had Sparks practice later that night. We had the Rose Classic playoffs in Brooklyn today. We were playing the 8th grade Magic from Pennsylvania and they were undefeated. Right when the game was about to start, Kyrie Irving from the Celtics walked in the gym and everyone got so hype. It was pretty cool that he sat behind the scorer’s table and watched our game. I started off slowly and we were down double digits at halftime. Me and my teammate Gabby heated up in the second half and we tied the game with a minute to go. They made more plays than we did down the stretch and we loss. 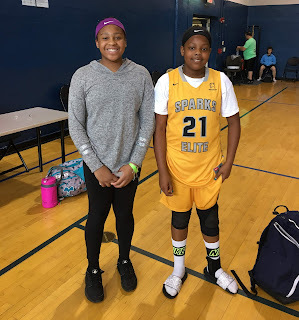 The Sparks fifth grade team was short a couple of players so my dad had my little cousin Jada who lives in Delaware come up and play with them this weekend. I missed her games on Saturday but went to her game on Sunday at Kean. She got buckets. I think in three games she had 26, 17 and 15 points and they won all of the games. Speaking of winning, the Sparks 8th grade won the junior division and our 17 EYBL team which is coached by Coach Chez won the high school division at the Rose. I ended the day by going over my friend Derrick’s house and playing basketball with him and my other good friend Jett.